Baking is a mystery to me. I have friends who can bake moist, fluffy, delicious, too-pretty-to-eat desserts. Mine, on the other hand, emerge from the oven misshaped, too hard, lumpy, or burnt. I’ve been told that baking successfully requires meticulous measurements of ingredients and following directions closely. Those requirements kill me. I tend to improvise and hope for the best. Past experiences obviously show me that I need to change my ways. I must stop improvising, eyeballing measurements, or substituting ingredients. I need to take it easy. Think before I do add too much of something and botch the batch. This month marks off a new start to bake well. 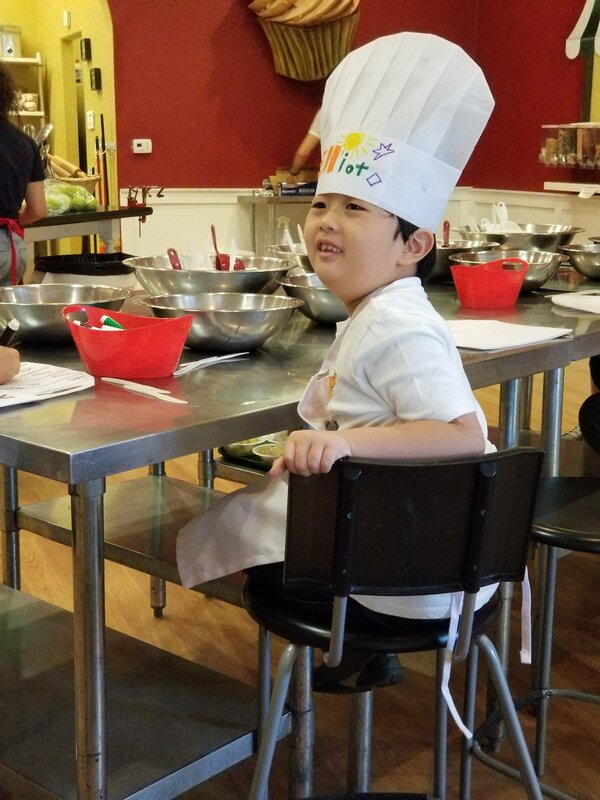 It started with Elliot taking a few baking classes. And the stores have all kinds of pretty and sparkly baking supplies. It’s hard to resist. Chris doesn’t bake with us directly, but he plays an important role too. He is our official taste tester and last-minute-grocery-pick-up-person. He sometimes offers unwanted advice or comments about the taste, but I’m ok with that. I need to stay open to constructive criticism. We’re hoping to share our baking goods this year, so we’ve been busy. 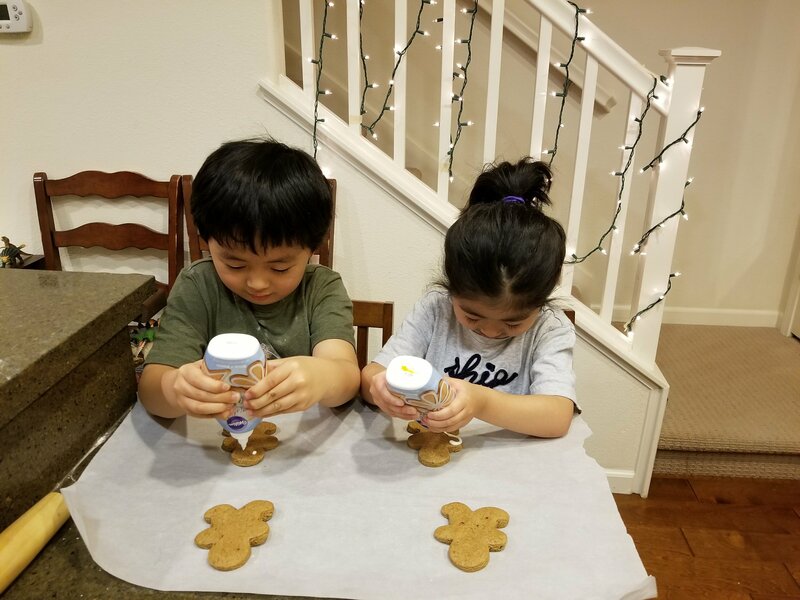 The kids take turns measuring ingredients, mixing, stirring, rolling dough into balls, and watching the cookies expand inside the oven. 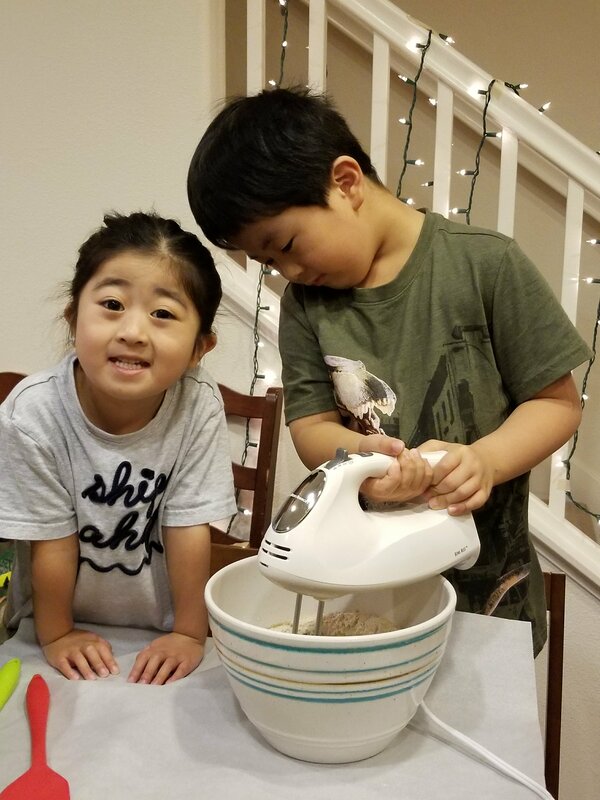 I have this fantasy that baking with kids is an overly delightful activity where laughter fills the kitchen over spilled messes; silent music playing in our ears; glowy sunlight pouring into the windows; and the kids beaming with smiles. Yep, if you’re shaking your head by now, I totally get it. Like I said, it IS and WILL remain a fantasy. It’s a messy and noisy activity. They fight over who gets to hold the spoon, how many turns each one gets to stir the wet ingredients, pointing fingers at who spilled the sugar, and wanting to do whatever else the other person is doing. It’s hard to stay calm when I’m multitasking and mediating petty arguments. I sometimes want to sit in the small pantry to get some alone time. But that still wouldn’t stop the kids from fighting; they would relocate their fight to where I am hiding out. Anyhow, we’re striving to bake fancier treats before Christmas. We’ve successfully baked chocolate chip oatmeal cookies, gingerbread man cookies, and cornbread (except for a recent rock hard batch that got tossed into the trash). Our next baking adventure will be sugar cookies so we can finally use our Christmas cookie cutters, which we got on clearance the day after Christmas last year. It’s going to be a baking experiment. The key word is experiment, meaning that it will be a lot of trying out and messing up. It’s also a parenting experiment for me: try to overlook the mess kids make and loosen up. Who cares if they prematurely dump all the ingredients together, drop spoonfuls of sugar on the floor, not follow instructions, or turn cookies into icing creations? 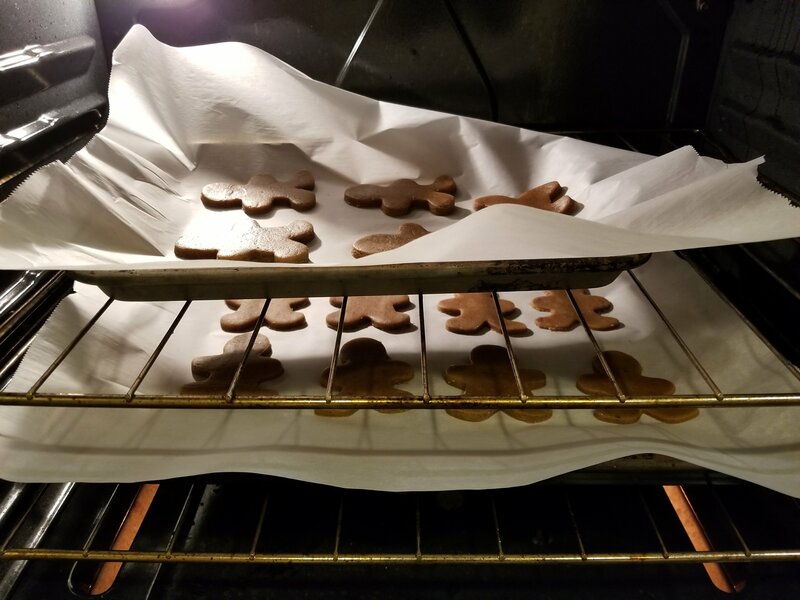 (just listing these examples made me cringe inside) But for the sake of creating a memorable holiday tradition, I’ll adopt a better attitude about baking with small kids. It’ll get better each year as we hone our baking skills. Baking is an art that takes time, practice, and patience to make delicious treats. If you are planning on baking this holiday season, I hope you have fun being creative and messy! Ready to make apple pie from scratch in baking class. 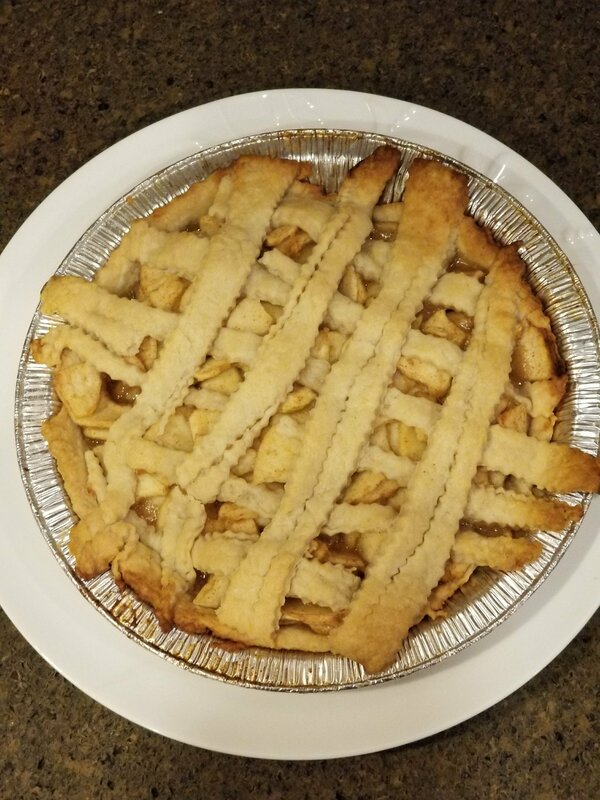 We gobbled up the apple pie Elliot made in class. 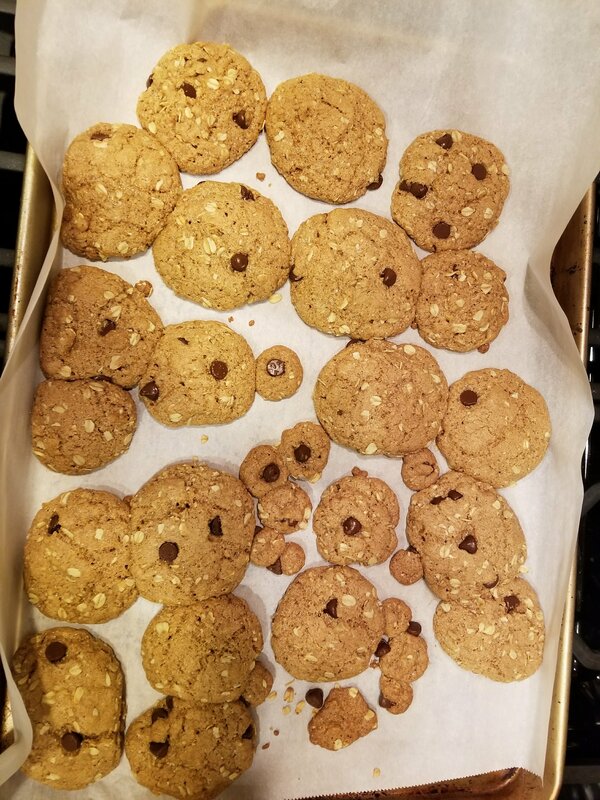 Oatmeal chocolate chip cookies… the tiny ones are made by Ellis. Supplies we got to make gingerbread man cookies. No more hand stirring. We’re going fancy with the hand mixer. Into the oven… fingers crossed that they don’t crack. 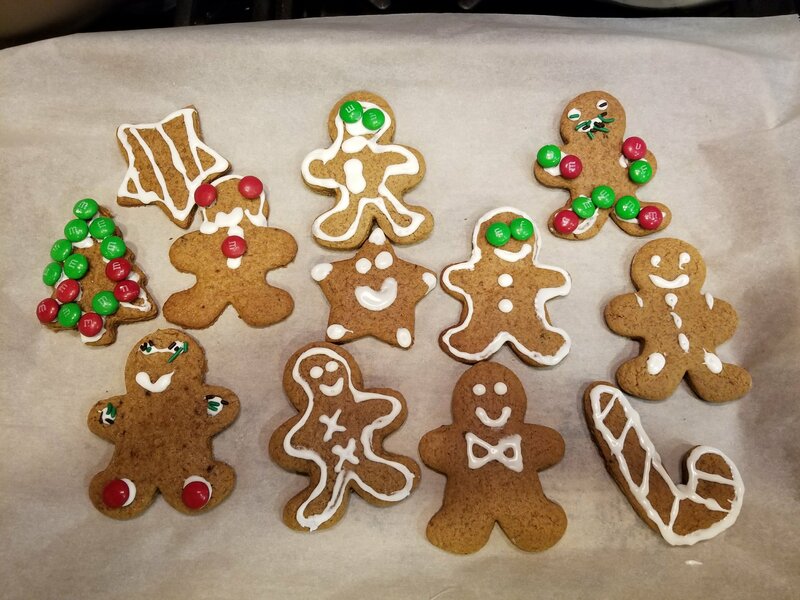 These gingerbread cookies are too crazy-looking to share with anyone besides family. 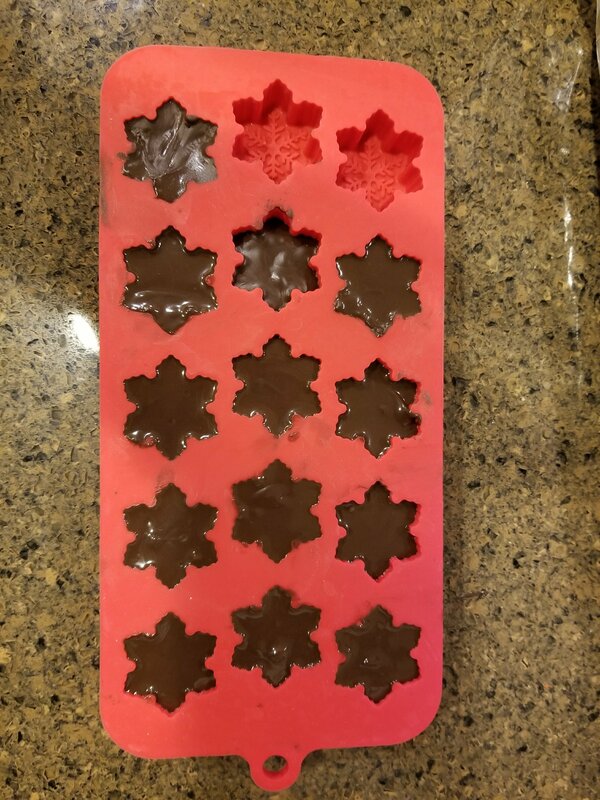 Melted Wilton chocolate in snowflake chocolate mold. 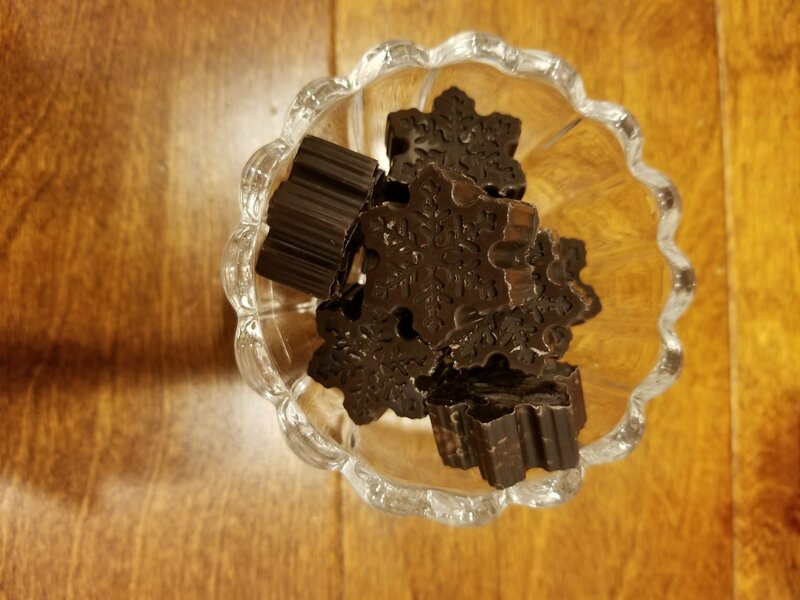 Amazed the chocolate held its shape. Kept it in the fridge for 1 hour before popping out the chocolate pieces. 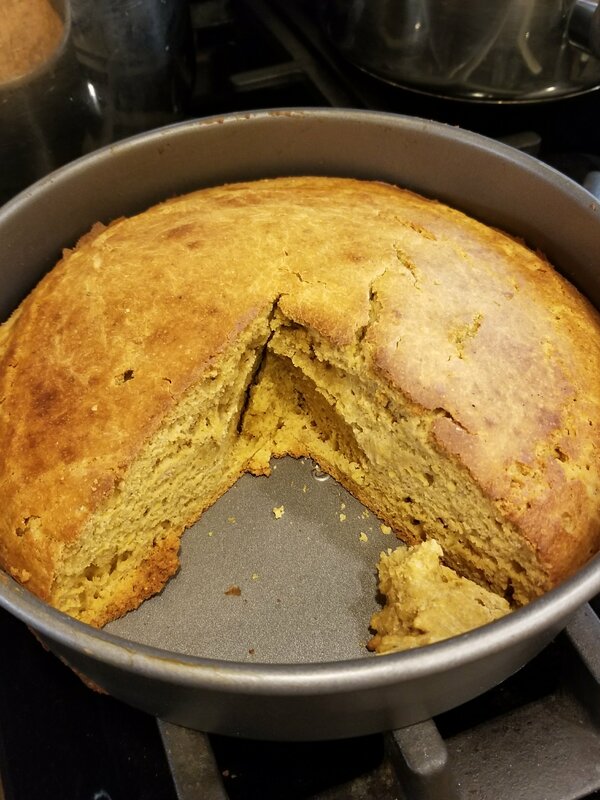 Awful cornbread… Rock hard. We’ve been having lots of cornbread success, but this batch was hard to chew. Got thrown into the trash. well done Esther and kids. It looks so yummy ! Thanks for sharing those wonderful moments! God is good. You guys are bringing honor to His name. This made me laugh out loud and not feel bad about sneaking my baking in when the kids are out when I’m aiming for gift-worthy products. My experience is so similar to yours with the “help.” I keep expecting them to wait patiently for directions about what to do next and instead they dive in, improvise, and generally create havoc! We made a round of Halloween cookies (in early November) and I’m still finding sprinkles in cracks and corners of the kitchen. They literally used three entire packages of decorations. Three. You know I was thinking about you when I wrote the second sentence! You are one of those good bakers creating pretty and yummy treats.